For Genesis fans, the band is of course of interest due to their continuing collaboration with Steve Hackett. There are many releases of that collaboration. The first release to feature Steve Hackett was Sipi Benefit Concert in 2009. The band then released the first live album with special guest Steve Hackett, called In The Footsteps Of Attila and Genghis, in 2010. Steve was also guesting on their 15th Anniversary Concert, which was also captured on DVD in the same year. Summer Storms And Rocking Rivers was the next Djabe & Steve Hackett release and became available in 2013 through Esoteric / Cherry Red. It was a live recording, and many more followed - sometimes even strictly limited, like the CD/DVD It Is Never The Same Twice. Gulli Briem did also appear on that one. Most of the releases are available on vinyl as well, and sometimes even as Reel to Reel tapes. More info can be found on the website of Djabe. Djabe music is also available on iTunes. For a couple of years, Djabe and Steve Hackett play some shows together every summer, mainly in Hungary. They will also play some shows in 2019, but again only in Hungary. 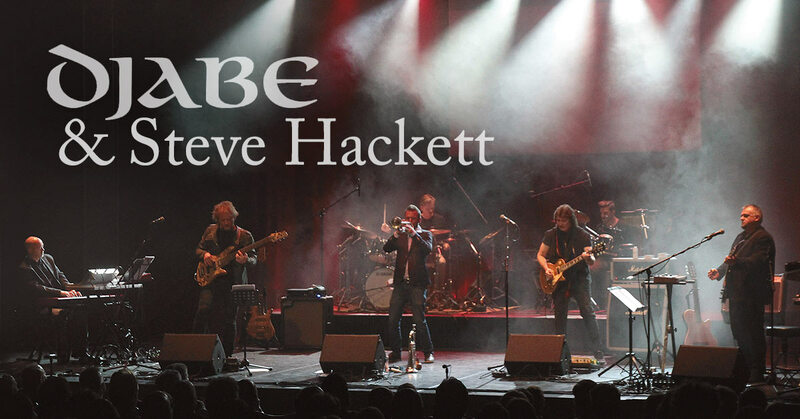 Information about Steve Hackett's solo tour can be found on his tour dates page here.